The little penguin sweater is finish, actually has been for a few days. I've been struggling with taking a decent picture. 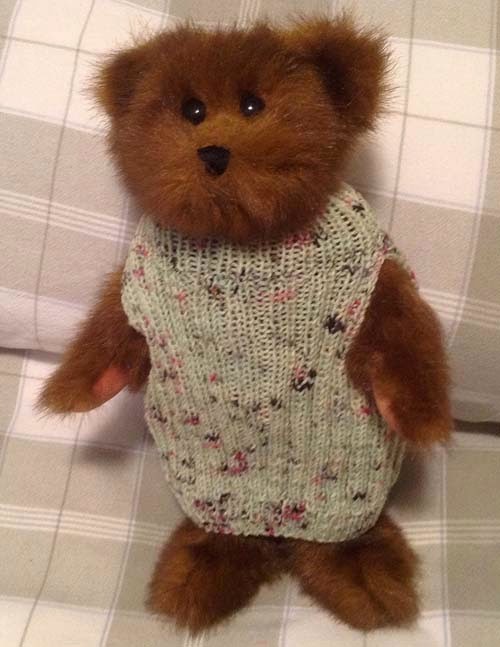 This little teddy bear is the perfect size for the sweater so I wanted to use it as the model. However, no matter where I took the picture, what time of day and what settings I used, the head always came out blurry. I give up and will post this picture as is. 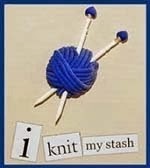 When taking a picture cuts into your knitting time, it's time to quit and get back to the needles. Also, the neck looks a little weird. That's because teddy has a big bow and it covered most of the sweater so I tucked it inside. Yarn was from my stash. Very little was needed for the sweater.